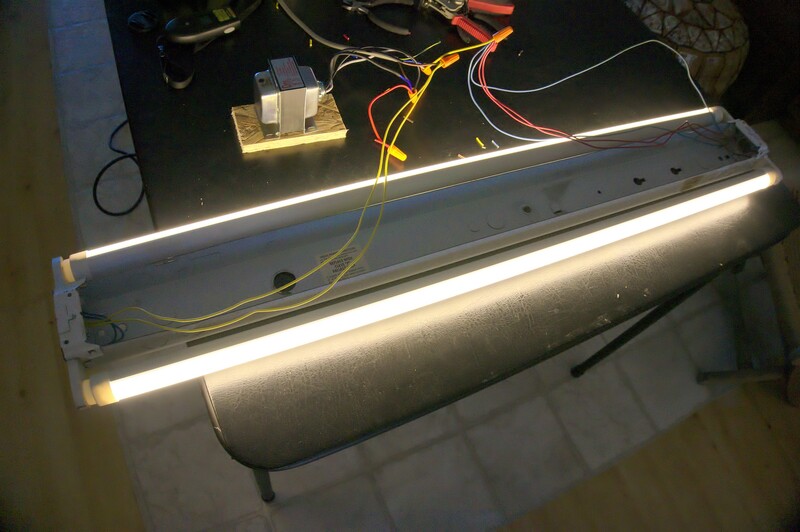 I’m doing a project at home where I need 3ft long T8 base LED Florescent bulb replacements. These are hard to find. 4ft long T8 replacements are easier to find. The problem with these bulbs is that they don’t work at 120 volts. The specs say they work from 85 > 265 volts. This is presumably because in China, and Europe, the supply is on the 240V 50Hz standard rather than North America 120V 60Hz standard. However, either the design or the quality control of these bulbs is wrong and they don’t work at less than 127V or so. My house power is 120.5V so these bulbs decided to blink at 1 second intervals. After some research on forums a user supplied a very cool solution called a Boost transformer. This solution is now under test as you can see in the picture.The forum exchange is here. The solution wires a low voltage transformer in such a way that its output is added to the input voltage. 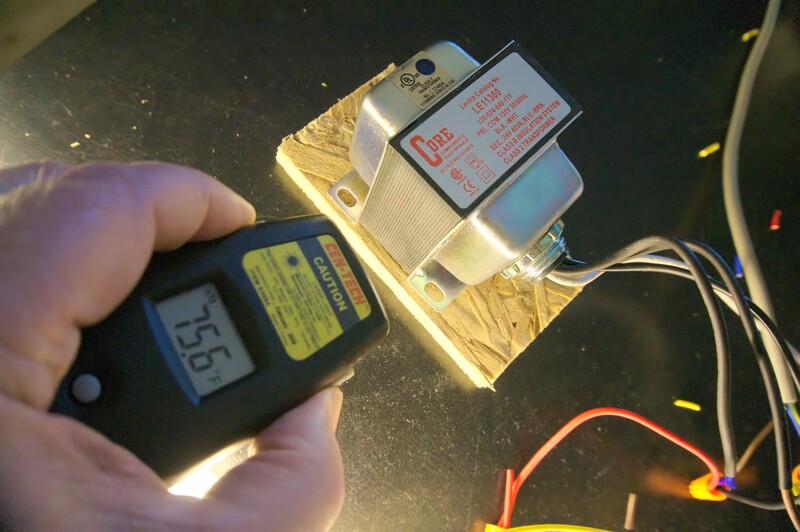 It is also possible to subtract the voltage so the wiring matters. Two of these bulbs draw about 32 watts so I chose a 40 VA transformer. Volt Amps is approximately the same as watts in this case. One of my concerns is that the transformers will eventually overheat so I’m running them and watching the temperatures. It looks like the solution is working fine.